Genuine EDAC AC/DC power supplies 12 volt, 15V, 16V, 18V, 19V, 19.5V, 20V, 24V regulated switching power supplies, 120 watt. 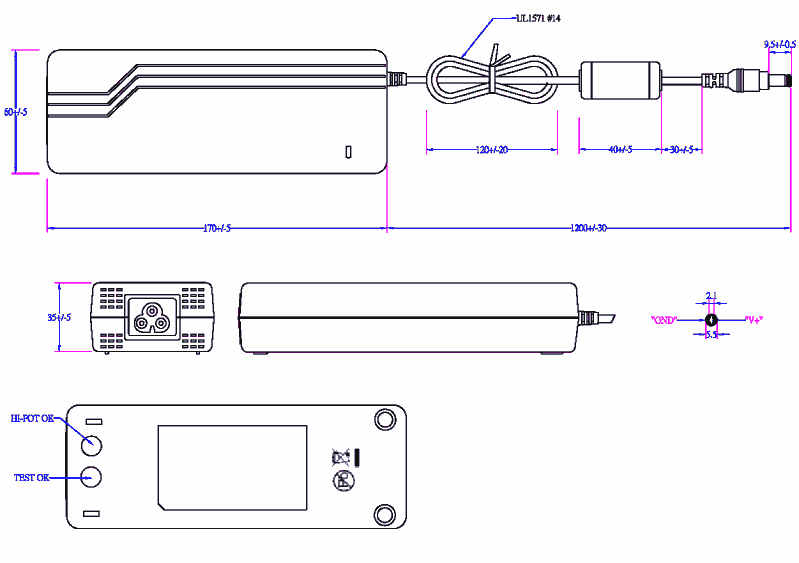 Model : PST-EA11203 12V through 24V AC/DC Switching Power Supply for Cooler, Car Appliances, printers, POS terminals, mini-ITX computers and other applications. Description : For complete data sheet see the bottom of the page. Special Features : - - Fully regulated, low ripple - Light weight & compact - Short circuit protection - Automatic thermal cut off - Automatic overload cut off Group : Adaptor Type : Switching Power Supply Approval : UL/CUL, TUV, CE, CB, PSE, ROHS, WEEE, CCC. These are CEC California Energy Commision compliant. Input Connector IEC320 C6 or IEC C13, Class I input socket allows cords for any country to be used, the North American cord is included.